BEIJING: After just 10 years as a journalist, Malaysian Fong Foong Mei has achieved what most others can only dream of – win the Pulitzer prize. She is one of seven members of a Wall Street Journal (WSJ) team that won the 2007 Pulitzer international award announced on April 16 for a series of reports on capitalism in China last year. “It was pretty unexpected but luck has a part in it. It's nice to have the highest journalism prize, the prestige counts a lot but life goes on as usual. She does have her feet on the rgound. “You still have to do the next story and it doesn't get any easier,” said the 34-year-old former Bukit Bintang Girls School student who writes under the byline of Mei Fong. She is the youngest of five daughters of the late Fong Chee Yew, a former deputy auditor-general. Fong had written about the difficult living conditions of migrant construction workers in Bejing and co-authored a second piece on a Chinese doctor who was inspired by the “Erin Brockovich” movie starring Julia Roberts, and fought to save his village from environmental pollution in eastern Fujian province. The migrant workers report also earned her a first prize in the 2006 Human Rights Press Award given out by the Hong Kong Correspondents Club and Amnesty International earlier this year. Fong recalled the time spent on the stories. “It took two months to find someone who would talk and the construction workers were touched that someone was interested in their story,” she said. “For the report on the doctor, it was difficult because we didn't have the freedom to travel and do interviews without official permission. “The waiban (provincial foreign officers) found out about us towards the end of our reporting and chased us out of town. We took a car down from the mountain at night and they followed to make sure we left. Fong studied at the National University of Singapore under a scholarship from Singapore Press Holdings. She worked with The New Paper for three years. She went on to complete a masters in International Relations at Columbia University under a Lee Foundation scholarship. 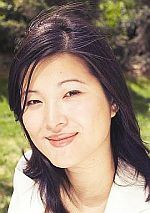 When she graduated in 2001, Fong undertook a three-month internship with WSJ which then led to a job offer. In 2003, Fong was transferred to Hong Kong and came to Beijing last year.